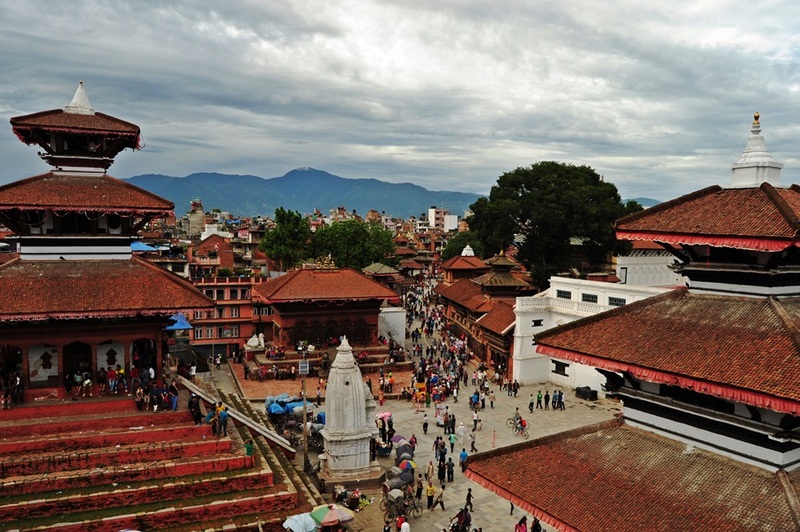 In the early hours of 25 April, 2015 a magnitude 7.8 earthquake occurred in Nepal. The largest the country has experienced in over 80 years, the earthquake occurred due to thrust faulting resulting from the subducting India plate and the overriding Eurasia plate to the North. 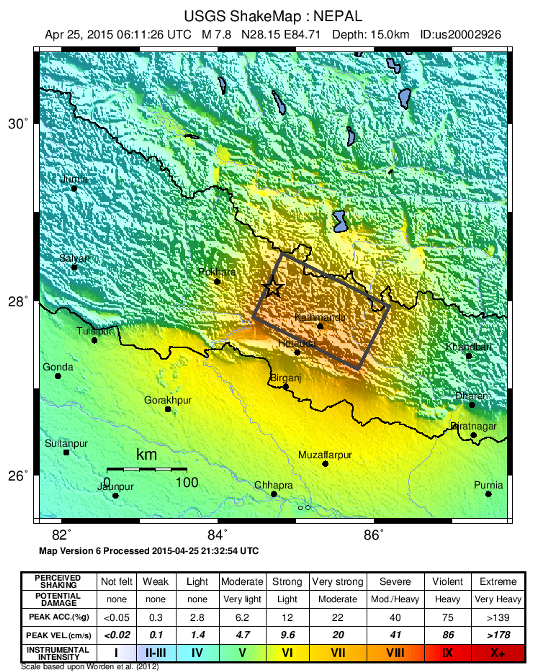 The earthquake occurred approximately 80km to the northwest of the Nepalese capital of Kathmandu, in an area where the India plate is converging with the Eurasia plate at a rate of 45 mm/yr towards the north-northeast, driving the uplift between the India and Eurasia plates. The earthquake was followed by several aftershocks including a magnitude 6.7 earthquake on Sunday which triggered more avalanches on Everest. The earthquake has devastated many areas of the Himalayan country. Its effects, including avalanches and landslides, have cut off many towns and villages. According to the United Nations Office for the Coordination of Humanitarian Affairs (UNOCHA) at the time of writing (29 April) the earthquake has claimed more than 5,000 lives, left more than 8,000 people injured and over 8 million people in need of humanitarian assistance. Fellows and members of the public may find the following resources useful to understand the geological context in which the earthquake occurred, the history of tectonics in this region and earthquakes more generally. USGS have put together some information on their website detailing when and where the earthquake occurred and the tectonic setting with some useful maps and diagrams. As part of GSL’s 2014 conference on Sustainable Resource Development in the Himalaya, Tim Wright of the University of Leeds gave a lecture on ‘Active Deformation and Seismic Hazard in the India-Asia collision zone’ which includes some background on the tectonics of this region. You can find his presentation on the GSL website. The Geological Society Publishing House has made a number of papers relating to Himalaya tectonics freely available on our Lyell Collection. Tags: DEC, earthquake, Nepal, USGS. Bookmark the permalink.